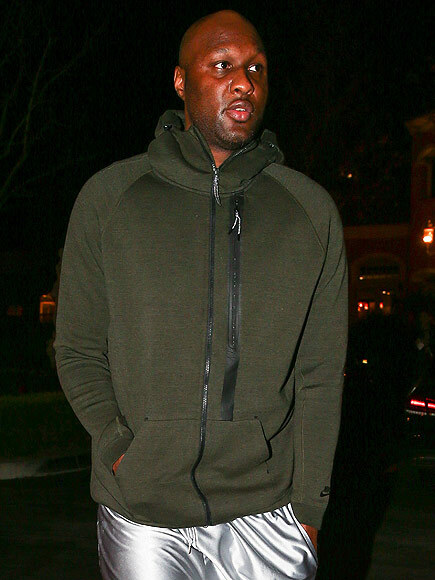 Los Angeles, CA, United States (4E) – Lamar Odom was caught by paparazzi leaving a rehabilitation center earlier this week and when asked about what he plans in the future, he said that he might do a reality show and will soon talk to his ex-wife, Khloe Kardashian . Odom has been in the rehabilitation center in Los Aneles for a month and an insider said that the former Los Angeles Lakers star is doing great and is happy. He is said to be heading home and his family and his kids visited him last week at the center. As for the reality show that Odom might do, he did not provide details about it but reports claim that it might be about his recovery. He reportedly hopes to inspire others going through the same thing. Kardashian is said to be freaked out about it as it might spill some secrets of hers and her family. Odom had a life-threatening health condition in 2014 after he overdosed and was found unconscious. He was hospitalized for weeks and underwent therapy. However, he started drinking and partying again last year. The divorce of Odom and Kardashian was finalized on December 17 of last year.